This is the last game of Season 2 of Kloonigames. The whole season -thing is more a self proclaimed deadline and/or motivational tool than anything real. It’s very much like prisoners counting days left in prison. But I promised myself back in November 2007 that I’d do at least 12 new monthly games and I’ve more or less accomplished that. Season 2 has had its ups and downs and the whole thing was a bit more painful than Season 1, because this whole time I’ve been also working on Crayon Physics Deluxe. So this all means there won’t be any more monthly games for a while. I’m going to finish Crayon Physics Deluxe and after that I’ll decide if I’m going to start another season of Kloonigames. Anyway here’s the game. The game was made back in 2006 and I’ve been keeping it as a backup if I ever for what ever reason won’t be able to do a game that month. 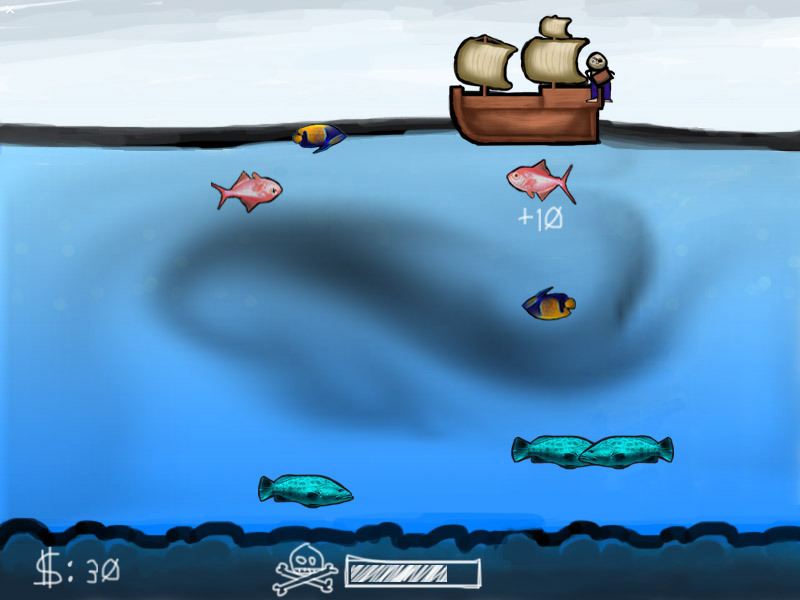 You’re a pirate and you have to catch some fishes at the Baltic sea to make money. 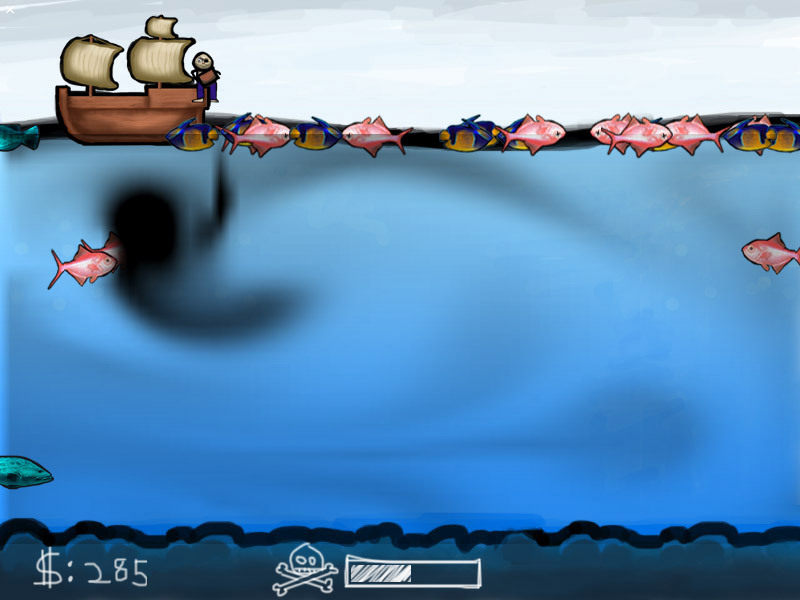 Control the boat with mouse and pour oil into the ocean by left clicking. Music: Weirdomusic – Fiber visits the Q Continuum. The song “Fiber visits the Q Continuum” is freely available at http://www.comfortstand.com/catalog/020/ under the Creative Commons Attribution-Noncommercial 2.0 Generic -license. If there’s any justice, World of Goo will set the internet aflame and earn its creators a million dollars. The members of 2D Boy should be carried around in chariots while this glory lasts – because at some point, they’re going to realise what a murderously high standard they’ve set for themselves, and run away forever. 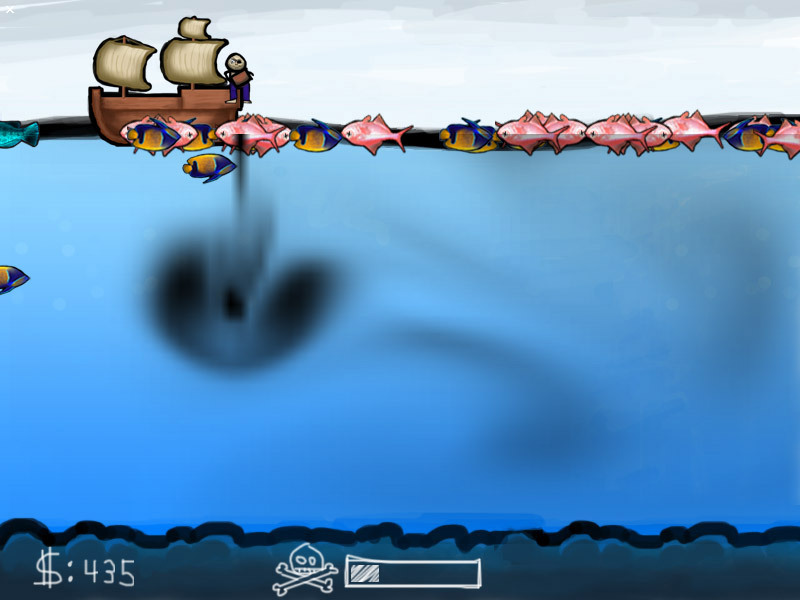 You are currently browsing the Kloonigames weblog archives for October, 2008.